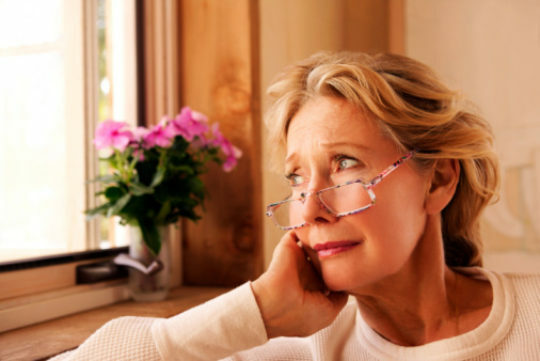 Hormone therapy (HT) is a treatment program in which a woman takes estrogen and progestagen (a synthetic or natural form of progesterone) to relieve menopause symptoms. HT also reduces a woman’s risk for osteoporosis and other conditions that become more common after menopause. Increased Risk of Breast Cancer Diagnosis With Prolonged Use of Long Term Estrogen-Progestagen Therapy. The length of time a woman takes HT also affects a woman’s risk. Taking HT for five to 10 or more years increases the risk of diagnosis. However, postmenopausal women who take HT for menopausal symptoms for over 5 years have a 30% reduction in all-cause mortality. Taking HT does NOT increase the overall risk of death or death from cancer. Do the Benefits Outweigh the Risk? The known link between HT and increased breast cancer risk has unfortunately discouraged many women and their doctors from choosing or recommending hormone therapy (HT). Most breast specialists do not recommend HT for breast cancer survivors, while others may recommend HT based on its potential benefits, including quality of life concerns. Furthermore, breast cancer survivors who still menstruate are not discouraged from being pregnant. The type of hormone therapy (estrogen only or combination of estrogen and progestagen), as well as the woman’s individual characteristics and symptoms should be considered when weighing the risks and benefits of HT. The decision to use HT after menopause should be made by a woman and her health care provider after weighing all of the potential risks and benefits; however, for most women with menopausal symptoms the benefits outweigh the risks. The most common risk associated with any type of HT is the risk of blood clot. For the reduction in risk of invasive breast cancer in postmenopausal women at high risk for invasive breast cancer. It is also approved for the treatment and prevention of osteoporosis. However, it does not treat hot flashes or vaginal atrophy/thinning. Tamoxifen, like raloxifene, is associated with an increased risk of blood clots. And tamoxifen, but not raloxifene, is associated with increased risk of uterine bleeding and endometrial cancer in women over age 50. Tamoxifen is not approved for osteoporosis treatment or prevention like raloxifene.